Today's outfit is a fun one that came about by accident, as this polka-dot tee & floral palazzo pants were laying side-by-side on top of my laundry basket [the clothes are clean, I just haven't put them away yet]. 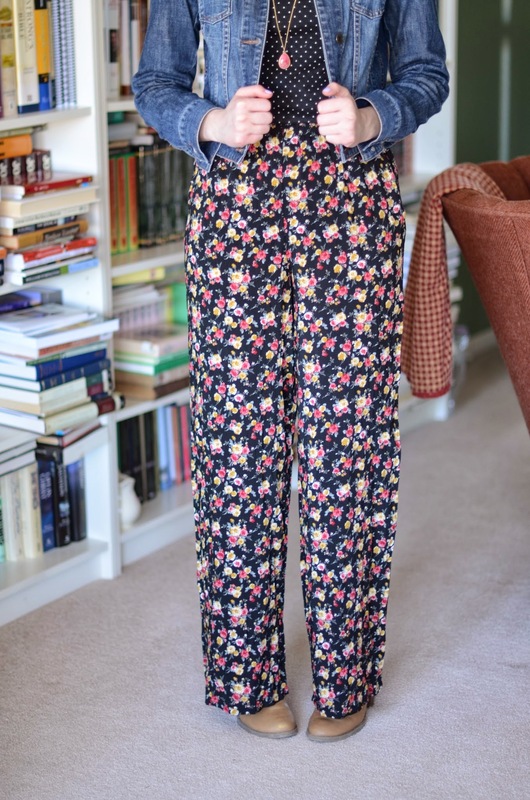 I really wanted to wear my new palazzo pants today, but wasn't sure how to wear them when it was still chilly outside [I have a ton of summer pairing ideas], so I thought that this pairing was perfect for the winter. Since you are layering up with a long-sleeved tee & denim jacket. When I came downstairs this morning to ask Gaby what she thought about my outfit. She said it surprisingly went together [that shocked her, as this is not her normal favorite style], and that I looked like a brunette version of Perrie Edwards [as my outfit reminded her of something that Perrie would wear]. I took that as a complement, as I like the way that Perrie pairs things together -- also love her hair & big blue eyes. Also, for some reason, my top-knot today isn't really working out -- it is kinda flat & non-puffy. It is just an off day for my hair today, Monday's are like that sometimes, but then by Wednesday/Thursday my hair becomes awesome again. 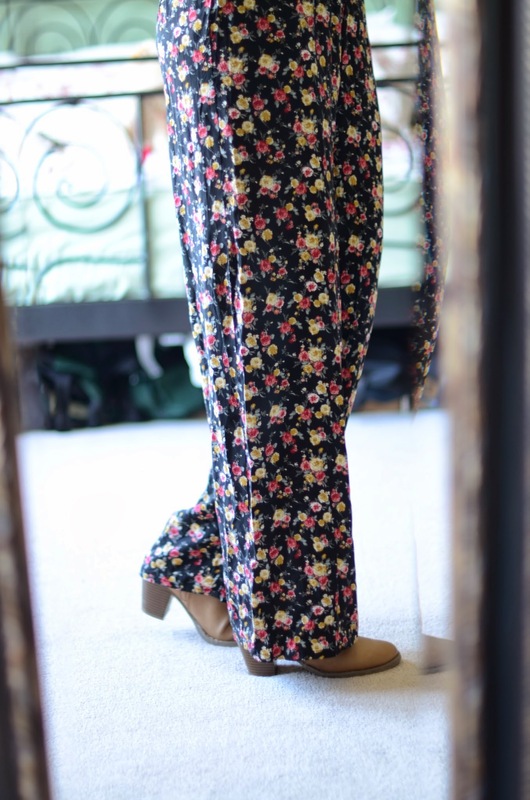 How would you style these floral palazzo pants? 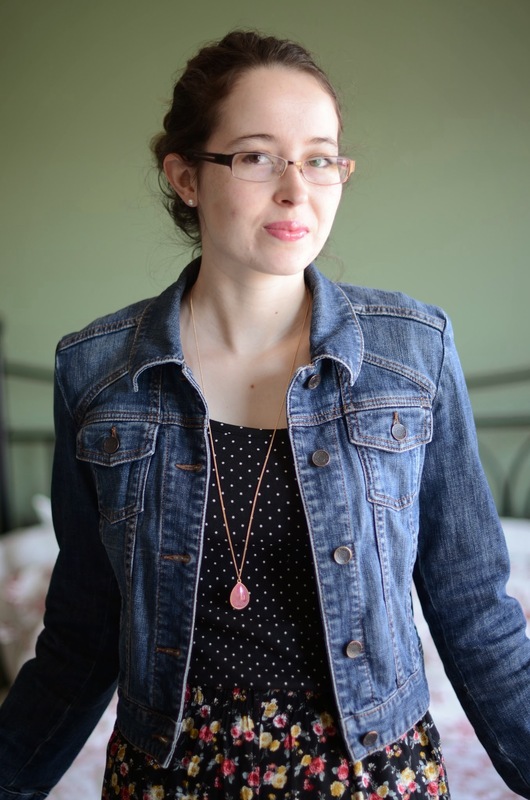 Linking up: Sunday Style @ Plane Pretty. 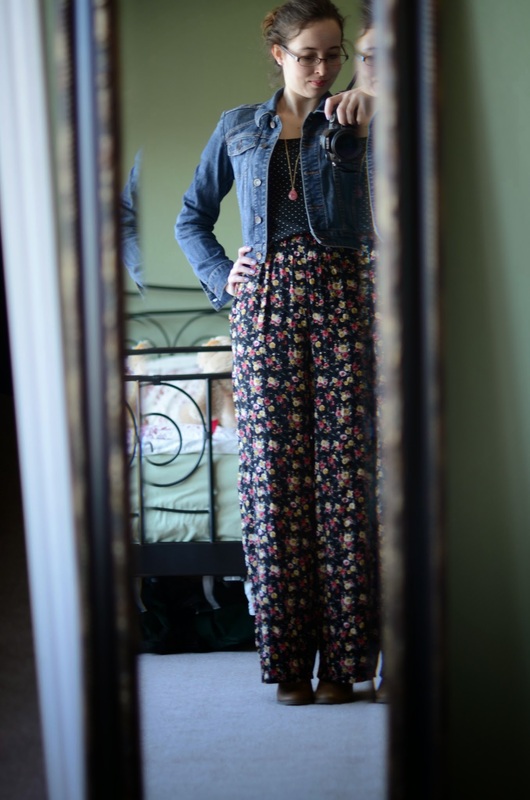 Those palazzo pants are definitely outside the box! Kudos to you for stepping into something so difficult to style--and doing it well! Love the pants! I think I would wear them some super tall chunky wedge sandals, fitted tank top, flowy cardigan, and a solid scarf. Super cute look! I have a similar pair of pants that I haven't worn yet, because for whatever reason they always look like pajamas on me. :P This post is inspiring me to try again, though. Loving those pants! So unique and fun! I really like those pants! Love the pattern mix as well, they seem to fit perfectly together!